As long as you struggle with a leaky gut, gut inflammation, gut infections or parasites, heartburn, poor digestion, or chronic constipation or diarrhea—conditions that are so popular they fuel a multi-billion-dollar industry of drugstore antacids, proton pump inhibitors, and the like —you’ll never experience optimum thyroid health. The gut-thyroid connection can be a vicious circle as hypothyroidism causes poor digestive health, and poor digestive health may cause hypothyroidism. This is why it’s so important to appropriately manage Hashimoto’s and hypothyroidism, which involves more than finding the right thyroid medication. For the most part however, America’s addiction to processed foods, sweets, gluten, grains, and stressed-out lifestyles leaves most people in need of some serious gut repair. Conversely, appropriately managing Hashimoto’s and restoring thyroid function can help improve digestive function. Studies show both T4 and T3 protect the intestinal lining from ulcers. Studies also show hypothyroidism can cause intestinal permeability, or “leaky gut,” which allows undigested food into the bloodstream and instigates an immune attack. 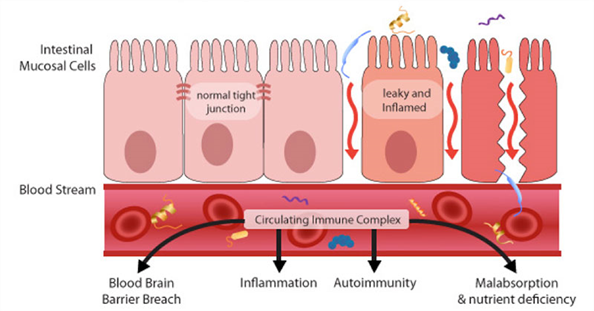 These are examples of the thyroid-gut vicious cycle and why you need to look at the big picture. Gut flora and T3 Our digestive tracts host an array of bacteria that contribute to our health in a number of ways. One way is in the production of active thyroid hormones. A whopping 20 percent of thyroid function depends on a sufficient supply of healthy gut bacteria to convert T4 to T3. When diets are poor and digestion falters, dysbiosis, an overabundance of bad bacteria, crowds out the beneficial bacteria, thus hampering the production of active thyroid hormone. Studies have also shown that bacterial gut infections reduce thyroid hormone levels, dull thyroid hormone receptor sites, increase the amount of inactive T3, decrease TSH, and promote autoimmune thyroid disorders. Additionally, some studies have found connections between Yersinia enterocolitica and Hashimoto’s disease—antibodies to this bacteria are 14 times higher in people with Hashimoto’s. Maintaining healthy gut flora and addressing bacterial overgrowth is an important component of good thyroid function. Hypothyroidism Contributes to Low Stomach Acid. Contrary to popular belief. Heartburn is caused by too little stomach acid NOT too much stomach acid. When hydrochloric acid is low, the stomach cannot digest food thoroughly. The food in the stomach begins to rot and putrefy. The small intestine attempts to reject this rotting mess, so the putrefied food shoots back up into the esophagus causing reflux. Though the food is not acidic enough for the small intestine, it is too acidic for the delicate tissue of the esophagus and causes painful heartburn. When this poorly digested food eventually does make its way into the digestive tract, it contributes to intestinal inflammation, infection, leaky gut and eventually H.Pylori infection. Studies show that H.Pylori, the most common cause of ulcers and a cause of stomach cancer like a stomach environment that is more on the alkaline side. Note: this is the cause of the majority of people who experience heartburn and reflux, too little stomach acid. Although hypothyroidism can contribute to low stomach acid, low stomach acid can also contribute to hypothyroidism. It’s estimated more than 90 percent of the population suffers from hypochlorhydria low stomach acid), due to nutrition-poor diets of processed foods. The digestive dysfunctions stemming from low stomach acid likewise set the stage for autoimmune disease, chronic stress, and poor absorption of nutrients, all of which can lead to hypothyroidism. Be Very Careful With Standard Testing For Gluten Sensitivity. Hypothyroidism and Gluten. Foods Containing Gluten That May Surprise You. Thyroid Gluten Sensitivity. 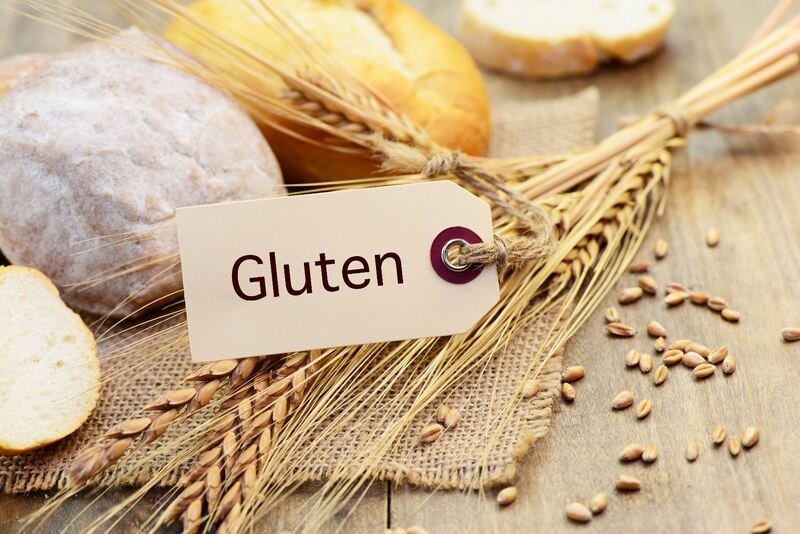 Avoiding Gluten is NOT Enough to Stop The Autoimmune Attack. Discover an Exciting New Drug Free Treatment For Thyroid Conditions and Hashimotos!